The national chairman of the All Progressives Congress (APC), Comrade Adams Oshiomhole, has described Rochas Okorocha, governor of Imo state, as an embarrassment to the ruling party. 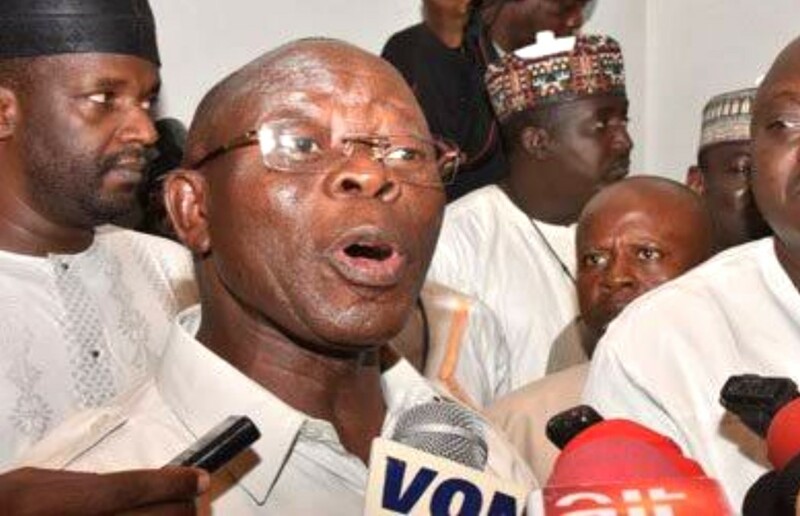 Oshiomhole said this at a press conference in Abuja after Okorocha accused him of working against the interest of the party and making the APC lose five million voters. Oshiomhole said the desperation of Okorocha to pick a senate ticket and a governorship ticket for his son-in-law amounted to turning Imo into his family dynasty. He added that the NWC had met and decided to submit the name of Hope Uzondima to INEC as the party’s governorship candidate of Imo. Uzondima was declared winner of a primary conducted by an NWC committee headed by Ahmed Gulak but the APC leadership had disbanded the panel and ordered a fresh primary which never held.